Duress systems are widely used for protection and are highly effective against personal threats. These alarms allow the user to send a silent alarm system to a central command center which provides a prompt emergency response. Duress alarms are commonly used to protect employees and staff from physical assault and other potential hazards. Taking the necessary security precautions is absolutely necessary to ensure the safety of all employees. These systems can be either hardwired or wireless giving you greater flexibility in their application. Duress alarm systems can be installed in fixed locations throughout the facility or can act as a wireless device for critical personnel. People are naturally concerned about their own safety whether at home or at work. Theft or physical assault can happen to anybody which is why taking preventative measures is so important. Duress alarm systems are highly effective to summon assistance should an emergency situation arise that requires immediate assistance. 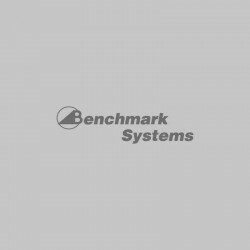 At Benchmark Systems, we help protect your home or business with a custom duress alarm system that fits your needs. Be sure to get in touch with us today for more details about our security solutions. The importance of security cannot be stressed enough. If your employees are regularly offsite for business, then you need to ensure their safety at all times which is exactly where the iTrack system excels. We understand that every company has different security needs. We work closely with your company to provide a comprehensive solution that provides protection for your business and staff. We only use top brands for all our security systems to ensure exceptional quality on all installations. Our commitment to high industry standards is what differentiates our company. We offer a 2 Year warranty on PARTS & 12 months on LABOUR. We guarantee that you will not find better value elsewhere. Whether you are looking for Duress alarm systems for your business or CCTV surveillance for your home, we provide innovative solutions that fit your budget and needs. We only use our own team fully licensed installers and never use contractors for installations. Be sure to request a consultation with us today to find out how our solutions can enhance the security at your home or business. We provide exceptional security solutions at competitive prices. Duress alarm systems add an extra level of protection to your home or business. We understand that companies have different security requirements. We provide a free consultation and survey of your site which allows us to recommend the best security system for your needs. With our technical experience, you are assured discrete installations and quality protection without any compromises. Our systems are highly reliable as they are robust. We believe in taking an honest approach with our clients and offer some of the most competitive prices around. Contact us today to learn more about our duress alarm systems or to ask questions about any of our available security options for your home or business. We always guarantee our services with a comprehensive warranty you can rely on. We look forward to hearing from you soon.